Product prices and availability are accurate as of 2019-04-21 12:47:24 EDT and are subject to change. Any price and availability information displayed on http://www.amazon.com/ at the time of purchase will apply to the purchase of this product. 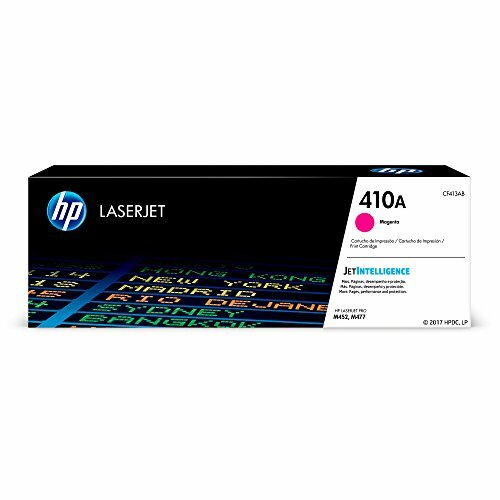 HP 410A (CF413A) Toner Cartridge, Magenta for HP Color LaserJet Pro M452dn M452dw M452nw MFP M377dw MFP M477fdn MFP M477fdw MFP M477fnw. 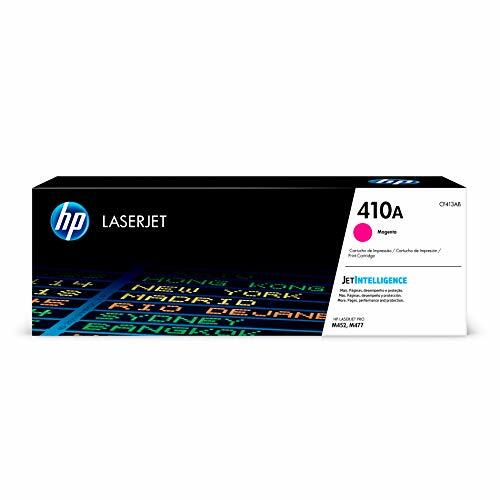 HP 410A (CF413A) toner cartridges work with: HP Color LaserJet Pro M452dn, M452dw, M452nw, MFP M377dw, MFP M477fdn, MFP M477fdw, MFP M477fnw. Original HP toner cartridges produce an average of 71% more usable pages than non-HP cartridges. HP 410A toner cartridge yield (approx. ): 2,300 pages. 410A toner is designed to work with your HP printer for high quality, reliable results every print. Ensure that your printing is right the first time and every time with HP printer toner: 410A toner. 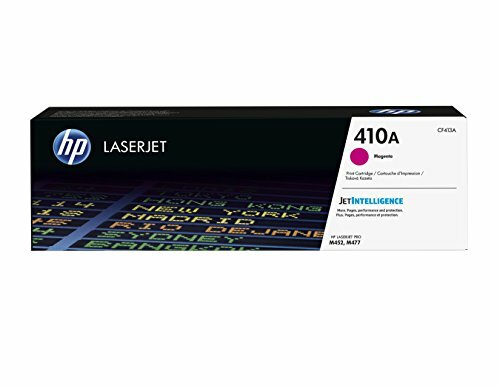 What's in the box: 1 New Original HP 410A (CF413A) toner cartridge. Color: Magenta. Color: Magenta Original HP Cartridge Yield (approx): 2,300 pages Look professional on every page with vibrant, high-quality color prints that help your business look its best Spend less time on problems. 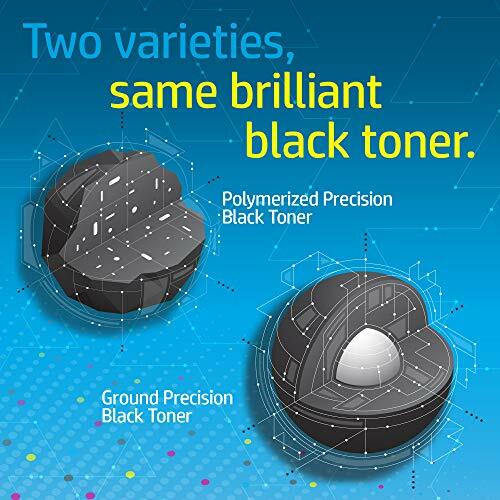 Original HP toner cartridges are designed to work flawlessly with HP printers What's in the Box: New Original HP (genuine) toner cartridge HP Printer compatibility: HP Color LaserJet Pro M452, M377, M477.